Andy Swales supplies the stats for the prestigious WGC match play tournament in Austin, Texas, which begins on Wednesday. "You have to go back to 2002 to find a surprise winner in the shape of Kevin Sutherland. Twelve of the last 16 winners of the WGC Match Play have won one or more majors during their careers, while the other four champions were Matt Kuchar, Hunter Mahan, Luke Donald and Ian Poulter." With just over two weeks to go before The Masters begins at Augusta National, the world's best pros take a break from 72 holes of strokeplay golf, to contest the WGC-Dell Technologies Match Play event in Texas. 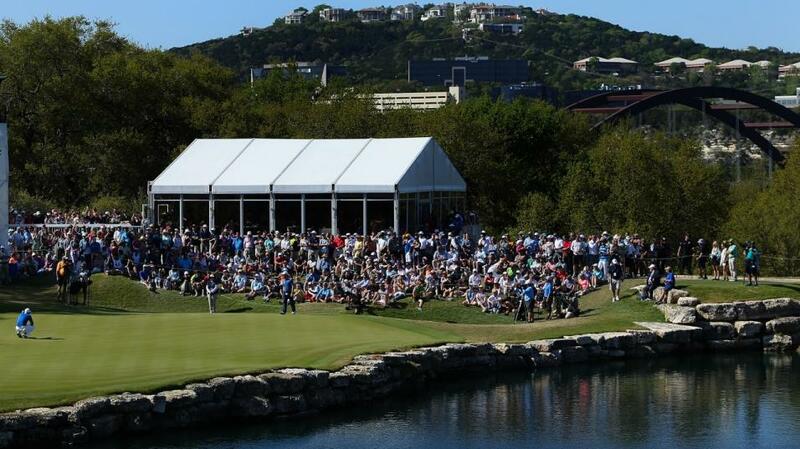 For a fourth successive year, the tournament takes place at Austin Country Club where 64 players line up for this popular five-day competition. The only two pros from the world's top 64 not competing are Adam Scott and Rickie Fowler - both of whom also sidestepped this championship 12 months ago. This means a call-up for Japan's Satoshi Kodaira and big-hitting American Luke List who, at the start of last week, were ranked 65 and 66 in the world respectively. The competitors are divided into 16 groups of four and, over the first three days (Wednesday-Thursday-Friday), will play one 18-hole match against each of the other members of their group. Matches during this section of the tournament can be halved and, on Friday evening, the 16 group winners go forward to contest a weekend of knock-out ties. If two or more players finish tied top of any group, they will take part in a sudden-death shoot-out to decide who qualifies for the Last 16. These Last 16 games take place on Saturday morning, followed by the Quarter-Finals in the afternoon. Semi-finals and Final are staged on Sunday, meaning the eventual champion will play seven matches over five days. The task of trying to select a winner in this format of professional golf can, at the best of times, be mind boggling. It's difficult enough attempting to predict the direction of any single 18-hole match, let alone making some sort of judgement regarding the entire tournament. Quite often it's more about day-to-day momentum, than either course history or current form. Yet rarely does the eventual champion emerge from outside of the top 20 or so players. You have to go back to 2002 to find a surprise winner in the shape of Kevin Sutherland. Twelve of the last 16 winners of the WGC Match Play have won one or more majors during their careers, while the other four champions were Matt Kuchar, Hunter Mahan, Luke Donald and Ian Poulter. Donald, a former world No 1, was ranked nine when he won in 2011, while Poulter is a renowned match play star anyway, as witnessed by some of his Ryder Cup performances. As for the two Americans, both have played in the Ryder Cup, with Kuchar a former champion at Sawgrass, while Mahan won six times on the PGA Tour between 2007 and 2014. So it's highly unlikely that even in the unpredictable nature of match play golf, we'll get a dud champion this week. That said, it doesn't make selecting an overall winner any easier. Of those teeing-up this week, only four players have managed back-to-back quarter-final appearances since the group stages were introduced in 2015. These are Dustin Johnson, Rory McIlroy - both former match play champions - Louis Oosthuizen and out-of-form Swede Alex Noren. DJ and Mac must start with big hopes, while Oosthuizen was second in Tampa Bay on Sunday. And then there is world No.6 Bryson DeChambeau who makes his tournament debut on Wednesday, but still probably stands as good a chance as anyone else in the field of being crowned champion on Sunday. Check out the betting ahead of the WGC Match Play Championship. As for this week's course at Austin Country Club, it was designed by Pete Dye and opened in 1984. Low-lying, and with sizeable greens, the undulating layout meanders close to the south bank of the Colorado River. Water should only come into play on six holes but, with plenty of spectacular photogenic danger lurking off almost every fairway, and close to many putting surfaces, accuracy is the key ingredient for success this week.